Miss Supranaitonal 2016 live ! 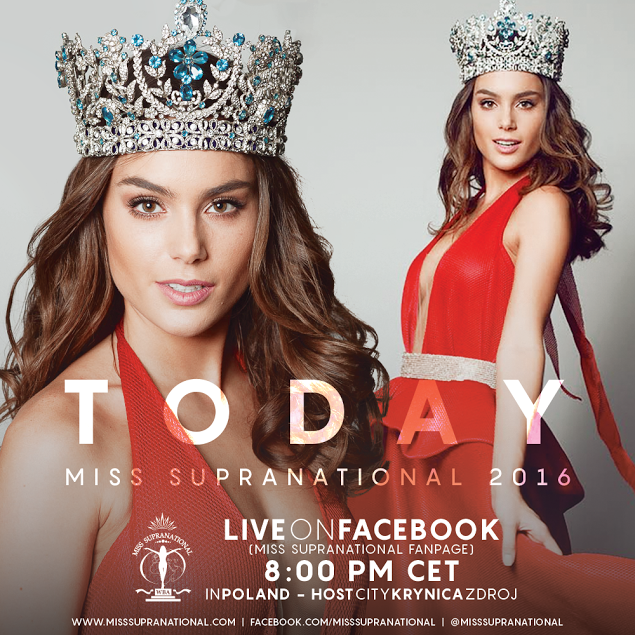 Tonight 71 contestants are competing in the final show of Miss Supranational 2016! One of them will be announced the 8th Miss Supranational in the 3h Gala. You are going to be surprised with what we prepared. SupraPresentations, SupraProduction, SupraArtists! Be with us tonight live on TV or the Internet! Final word from Stephania Stegman! India wins 2nd Miss Supranational title !